Gutter Guards And Snow - Gutters & Guards, Inc. - Lynchburg, VAGutters & Guards, Inc.
Gutter Guards And Snow. In this area of Virginia, we seem to get just a couple good snow storms and that’s it. There are more icy snows that roll through our area. We’ve talked A LOT about ice dams and icicles. We haven’t really dived into what to expect when you have gutter guards on your gutters. So when snow that’s icier or slowly melting becomes a icy slush this is where it’s going to drip; causing icicles and ice dams. When you mix this wintery weather with solid aluminum metal, it can create a sheet of ice. This makes it harder for your gutter guards to work properly ( or if you do not have gutter guards you can still run into this with just gutters). The melted water is going to roll over the ice sheet and drip onto your porch or walkway creating slick spots. Gutter guards that are more open mesh allow more water to seep in but this can make your gutter HEAVY. Leading to your gutters possibly becoming unattached from your home. This is one of the biggest complaints about gutter guards but think about the rest of the year and how they keep your gutters clean and free of clogs. 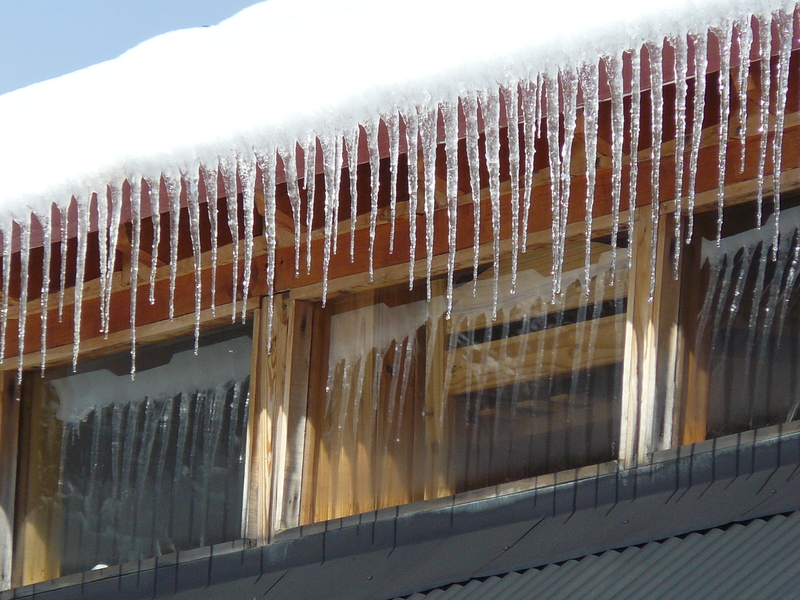 There are some preventative measure you can take to avoid these ice sheets over your screen mesh gutter guards and hopefully keeping the majority of heavy ice out of your gutters. Snow rakes to pull sections of snow away from the eaves of your roof or heated gutter guards. Gutters & Guards, Inc does offer a heated gutter guard. Depending on the climate that you live in should always impact the type of gutter guards you need to install on your home. That and the type of debris you want to keep out.